The role of a Certified Nursing Assistant is best suited to individuals who have a natural desire to care for others. As a CNA, your daily tasks will include assisting patients with their healthcare needs and the activities of daily living. A Registered Nurse (RN) will supervise as you perform basic nursing procedures and provide bedside care to patients in hospitals, nursing homes, assisted living facilities and adult day care centers. Completing a training program that covers 120 contact hours of didactic and clinical training is the first step to licensure in the state of Arizona. The Arizona State Board of Nursing stipulates the requirements for certification, including the guidelines for the state certification exam administered by D&S Diversified Technologies. CNAs will continue to be in high demand through the year 2020 and beyond. As changes in healthcare drive routine care into the home, more and more CNAs will find jobs assisting nurses in patients’ homes. The Nurse Assisting certificate program at Glendale Community College prepares students for entry-level employment. This 6-credit program comprises of classroom instruction, hands-on training a clinical lab and supervised patient care experiences in a community nursing home. Graduates are eligible to sit the written and skills state certification exam. The program combines classroom instruction with clinical laboratory and patient care experiences. Students who complete the program are eligible to take the Arizona State Board of Nursing written and practical certification examination. Individuals interested in the program must first attend a mandatory information session – the Nursing department will then enroll those who wish to proceed with the classes. It is important to follow the steps to becoming a GCC student before attending the information session. Applicants must also complete a drug screen (when instructed), provide proof of immunity or immunizations, obtain a fingerprint clearance card from the DPS, possess current Health Care Provider CPR/BLS, and have a Health Declaration form filled out by a physician. The total estimated cost of training is $1,136 inclusive of textbooks, clinical supplies, background check, uniform, fingerprint card, physical exam and immunizations. The nursing assistant program at Academic Training AZ is approved by the Arizona State Board of Nursing. An experienced registered nurse instructor provides individualized attention to each student. Small class sizes enable the school to meet the goal of personalized instruction. The school houses a computer lab and fully equipped skills lab to ensure students receive opportunities to develop the skills necessary to practice. The current schedule is weekends only (Saturdays and Sundays). Students complete the classroom instruction and clinical requirements in just 6 weeks. Classes meet from 8:00 am to 6:30 pm. Requisites include a legal employment status to work in the USA, picture ID or driver’s license, DPS fingerprint, CPR BLS, First Aid, TB skin test, ability to read, write and speak English, and social security card. Applicants 16 year must provide parental consent. Advanced placement is available to those who provide proof of experience in the medical field, obtain a passing score on 2 exams, demonstrate knowledge and skills as an entry-level CNA and completed 16 hours of clinical. Tuition costs $1,125 and includes scrub top, gait belt, pressure cuff, CNA booklet, and stethoscope. A flexible payment plan and job placement are available to all students. The Nursing Assistant Certificate program at Providence Training Institute helps students develop the skills and knowledge to qualify for employment as CNAs. Instructors emphasize those areas that will help students succeed on the state certification exam. The course structure includes 80 hours of in-classroom training followed by 40 hours in a local nursing home. The clinical externship takes place under a supervision of a Registered Nurse instructor and gives students the opportunity to develop their skills in a real-world setting. In the classroom and lab, students learn how to measure liquid and solid intake and output, measure vital signs, assist disabled patients with the activities of daily living, use preventative care techniques, and take direction from the RN. Applicants must be 16 years or older, possess CPR for Health Care providers, pass the entrance exam, take a TB test or chest exam, and have no felony convictions in the past 5 years. The tuition of $980 includes stethoscope, blood pressure machine, scrub top, and CAN workbook. Students are responsible for providing the course textbook and gait belt. The nursing assistant program at Medstar Academy prepares students for state certification. The curriculum covers 80 hours of instruction the classroom and skills lab and 40 hours of supervised patient care in a clinical setting. Medstar offers day and evening schedules. The accelerated program requires students to meet three days or evenings per week for five weeks followed by one week of clinical practice for the sixth week. Classes meet Mondays, Wednesdays, and Fridays from 8:00 am to 1:00 pm or 5:30 pm to 10:30 pm. Graduates will receive a certificate of completion and will be eligible to sit the State Exam to become Certified Nursing Assistants. No additional training is required for students who plan to become Licensed Nurse Aides (LNA). Medstar offers students exceptional pass rates on the State Board Exam, modern labs with state of the art equipment, small class sizes, student services. Applicants must be 17 years or older, provide proof of citizenship, pass an admissions test, have no felony convictions, pass a five-panel drug test. Other requirements include proof of citizenship, TB clearance, medical clearance from a licensed physician, and social security card. Participation in the clinical experience requires DPS fingerprint clearance, BLS/CPR Pro certification, and no outstanding payments. Tuition for the program costs $1080 and includes uniform top, BP cuff, stethoscope, and gait belt. Additional costs include registration ($200), textbook, DPS fingerprinting, and CPR/First Aid. Valley Vocational Academy prepares adults for an entry-level career as a provider of care in acute and long-term care facilities. 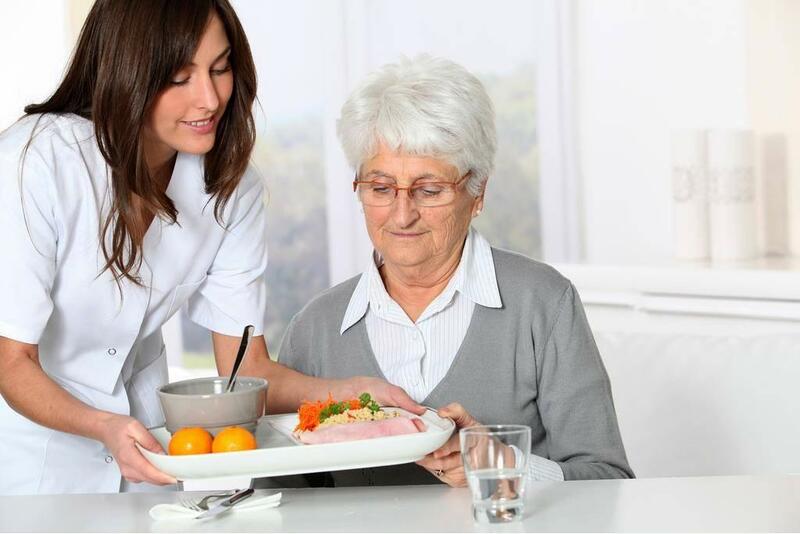 The curriculum includes theory and practical instruction in the areas of infection control, basic nursing skills, care of cognitively impaired residents, basic restorative services, range of motion, turning and positioning of patients, caring for dementia patients, end of life care, and hygiene. Others topics covered include communication and interpersonal skills, residents’ independence, resident rights, proper feeding techniques, bathing, grooming, dressing, and feeding patients, mental health and social service needs, and end of life care. Day, evening, and weekend schedules are available. Day classes meet Monday through Friday from 8:00 am to 3:00 pm for 4 weeks. Evening classes meet Tuesday and Thursday from 5:00 am to 10:30 pm for 9 weeks. Weekend classes meet Saturday and Sunday from 7:00 am to 5:00 pm for 7 weekends. Applicants must be 16 years older, provide proof of citizenship, take and pass the admissions assessment, pass a background check, have no active felony, obtain medical clearance, negative TB test, and flu vaccination – depending on the time of the year. Graduates will be eligible to take the State Board exam administered by Headmaster at the school to be licensed/certified as an LNA/CNA. The program’s tuition is $975 and includes textbook, workbook, stethoscope, uniform top, blood pressure cuff, TB test by serum, gait belt, and state board skills intensive led by a registered nurse. Students must budget for additional expenses include CPR certification, uniform pants, watch with a second hand, chest x-ray, drug test, medical exam, and state board certification fee.